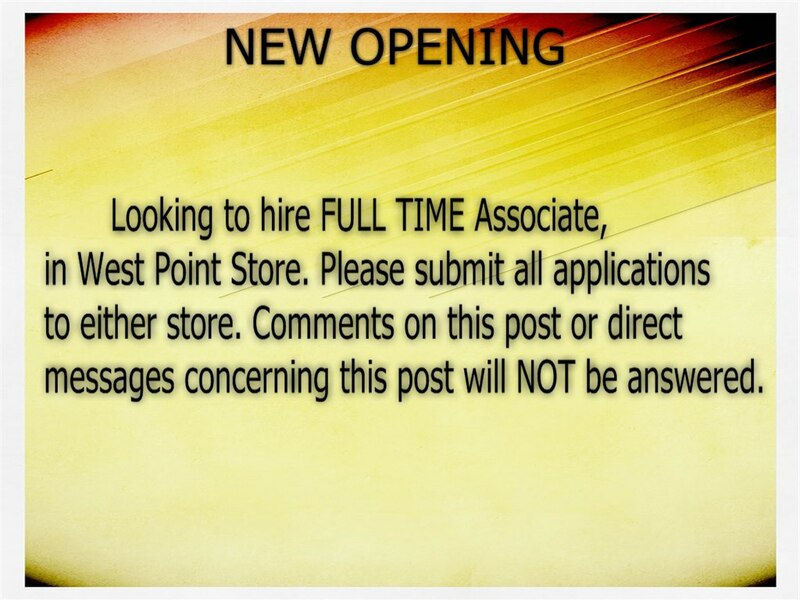 We are looking for a fulltime associate for the West Point location. Please come into either store and pick up application TODAY!!! Crimson Trace has started a $50 mail in rebate on all laser sights. Gary’s is still taking $50 off at the counter. This is an AMAZING $100 worth of savings!!! Come get your new laser put on your gunTODAY!!! 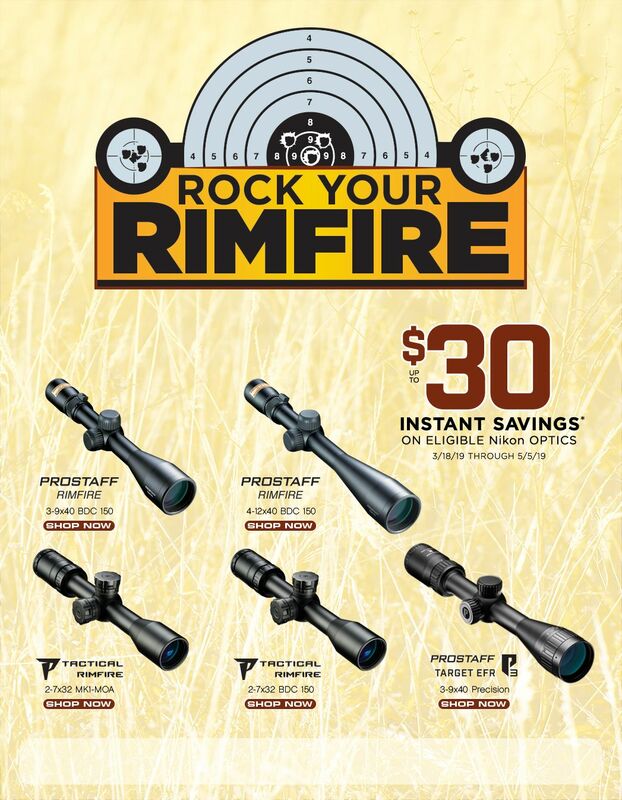 Nikon rimfire rebate is here available from 3/18/19 through 5/5/19. $30 Instant Savings! 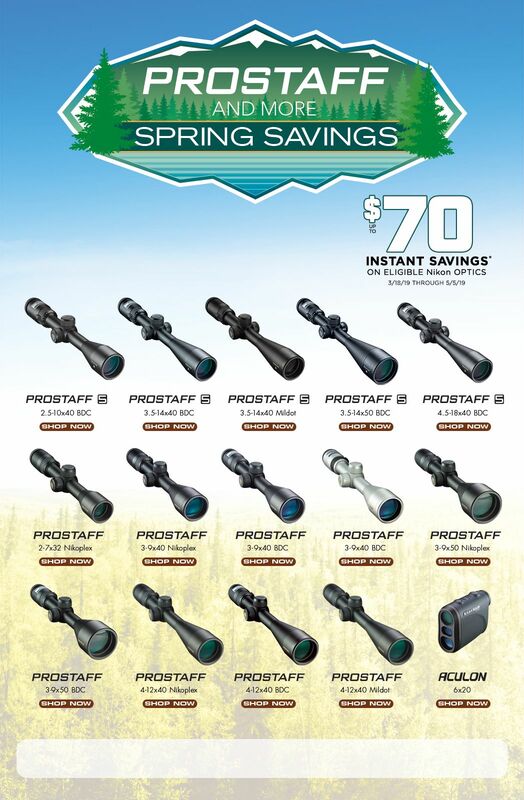 Nikon Prostaff rebate is here available from 3/18/19 through 5/5/19. $70 Instant Savings! Gary’s Pawn & Gun has been servicing North Mississippi since March 1978. Family owned and operated, we believe our customers are the most important aspect of our business. Our staff is friendly and knowledgeable offering one on one customer service. We offer a variety of services including Pawns, Firearms (sales, trades, scope mounting, cleaning, etc. ), Jewelry (sales/repair), Free Financing available (12 Months financing with approved credit ), and FREE Gift Wrapping with any purchase. Gary’s has a wide variety of merchandise including firearms, ammo, jewelry, knives, sunglasses, coolers, flashlights, and more. You are more than a customer at Gary’s Pawn & Gun – you’re family. Mon & Tue: 9:30 a.m. - 6:00 p.m.
Thur - Sat: 9:30 a.m. - 6:00 p.m.
Thanksgiving to Christmas both stores open Monday - Saturday from 9:30 a.m. - 6:00 p.m.